After another solid runway season for Fall 2018, Kaia Gerber continues to add an impressive body of work to her ever-growing portfolio. Following covers for Vogue Paris, Love Magazine and an advertising campaign for none other than Chanel, the promising 16-year-old now stars on the cover of i-D Magazine. The publication did our forums proud with the last issue’s diverse cast and series of inspiring covers. Going all out once again, i-D taps the mini-me of Cindy Crawford for Summer 2018’s ‘Super Youth’ issue, photographed by Mario Sorrenti wearing Gucci. Despite the magazine’s best efforts at profiling Kaia, our forum members weren’t into it. 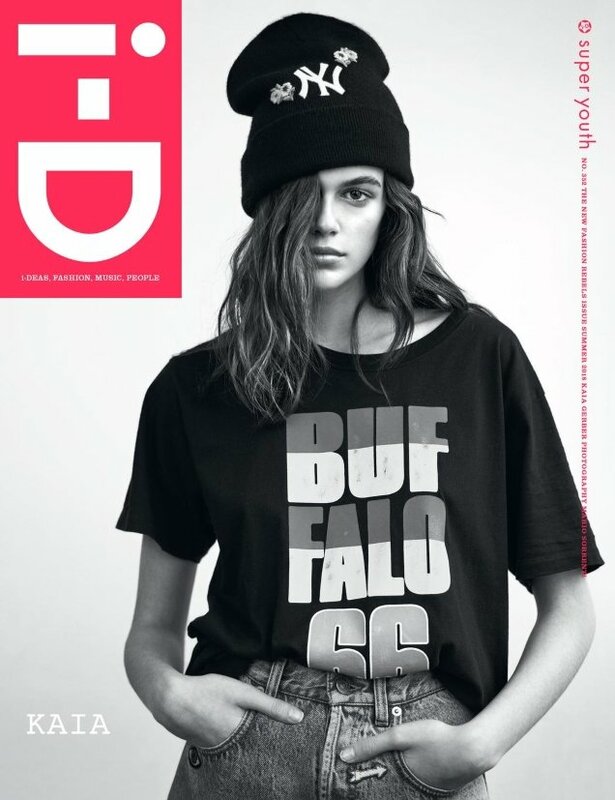 “I like the idea of Kaia for i-D but the cover looks very Instagram-like. I don’t think the effortless vibe works enough to elevate these images the way they intended. Perhaps with better styling,” quipped dodencebt. “Snore. The bare minimum of effort was put into this,” exclaimed 333101. “Another youth issue! We couldn’t wait for another one! Boring, as everything else connected to youth that fashion magazines try and push,” commented apple. “I had hopes of something glorious after seeing the thread title… I don’t know, I’d rather see the unbuyable glow of youth than a morose tiredness that’s freely available to individuals of every age,” tigerrouge slated. Whose side are you on? See more from i-D‘s latest and share your opinion here.